Home » Lifestyle News » Did you know human tongue has a sixth sense, and it loves pasta? 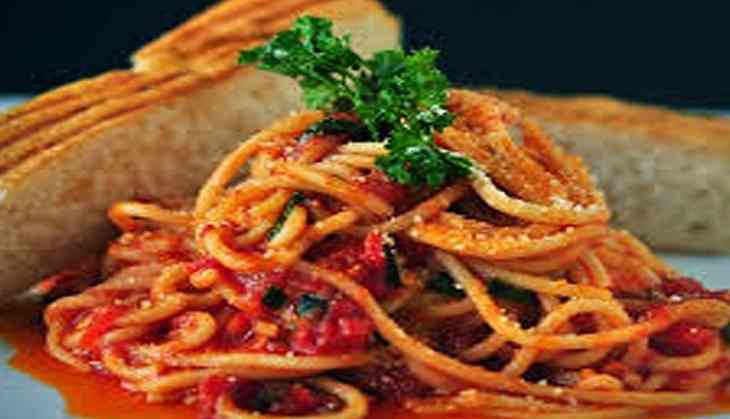 If you cannot resist eating bread, pasta or potatoes then your taste buds need to be blamed, warns a recent study. According to researchers from Deakin University in Australia, people who are sensitive to the taste of starch eat more of these foods and are likely to be obese. It has long been thought that we can sense five basic tastes - salty, sweet, sour, bitter and umami. But according to the study there is a sixth sense for carbohydrates. The findings explained that some people can directly detect the taste of starch and they crave for carbohydrates, which is driven by the sugar-fix they provide. Researcher Julia Low said that they specifically looked at the waist size as a measure for the risk of dietary related diseases. "Those who were most sensitive to the taste of carbohydrate ate more of these foods and had a larger waist," Low added. A person is considered overweight, if their body mass index (BMI) is between 25 and 29, and obese if their BMI is 30 and above. The team analysed 34 adults and discovered that their mouths could sense two common carbohydrates found in bread, pasta and rice. They also examined how sensitive those people were to that taste, their carbohydrate consumption and overall calorie intake along with waist measurements. Lead researcher Professor Russell Keast said that greater intakes of energy-dense food is thought to be one of the major contributors to the global rise of overweight and obesity and carbohydrates represent a major source of energy in their diet. Keast stated that individuals who are more sensitive to the "taste" of carbohydrate also have some form of subconscious accelerator that increases carbohydrate or starchy food consumption. The research appeared in the Journal of Nutrition.